International bestselling author Jeffrey M. Smith is a leading spokesperson on the health dangers of Genetically Modified Organisms (GMOs). His globally respected research and magnetic communication style captured public attention in 2003 with his first book on the serious yet unknown side effects of genetically engineered foods, Seeds of Deception : Exposing Industry and Government Lies about the Safety of the Genetically Engineered Foods You’re Eating. Seeds of Deception became the world’s best selling book on the health risks of GMOs and is credited with motivating changes in consumer buying habits to safer, non-GMO foods. In his second book, Genetic Roulette: The Documented Health Risks of Genetically Engineered Foods, Mr. Smith reveals insider documents about GMO safety trials that are sure to evoke strong emotions in the reader. Genetic Roulette shows how the world’s most powerful Ag biotech companies bluff and mislead critics, Congress and the FDA about food safety research for the products Americans buy everyday. Go to www.geneticroulette.com to read an excerpt. Mr. Smith has counseled world leaders from every continent, influenced the first state laws regulating GMOs and has united leaders to support The Campaign for Healthier Eating in America, a revolutionary industry and consumer movement to remove GMOs from the natural food industry. 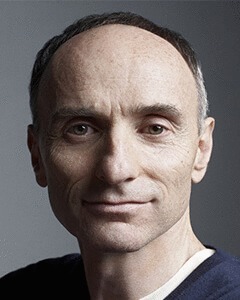 A popular keynote speaker, he has lectured in 25 countries and has been quoted by government leaders and hundreds of media outlets across the globe including, The New York Times, Washington Post, BBC World Service, Nature, The Independent, Daily Telegraph, New Scientist, The Times (London), Associated Press, Reuters News Service, Time Magazine and Genetic Engineering News. Mr. Smith directs the Campaign for Healthier Eating in America from the Institute for Responsible Technology, where he is executive director. He is also the producer of the docu-video series, The GMO Trilogy and writes an internationally syndicated monthly column, Spilling the Beans. The Institute for Responsible Technology, www.responsibletechnology.org, is a public education nonprofit that works on major public initiatives with scientists and concerned citizens from around the world, to shine a spotlight on the dangers of GMOs. Prior to founding the Institute, Mr. Smith was the vice president of marketing communications for a GMO detection laboratory and a consultant to leading industry groups and organizations. Mr. Smith has written extensively on the GMO issue for more than a decade. He lives with his wife in Iowa, surrounded by genetically modified soybeans and corn. Serving as the voice of non-GMO education to the media, trade organizations, government, business, consumers and international bodies. Convening opportunities for non-GMO leaders to work together on key issues. Promoting policies that enable grassroots community members to engage with public officials on a nonpartisan basis. Supporting the development and dissemination of strategies to strengthen non-GMO volunteering, voting, giving, and other forms of citizen engagement.